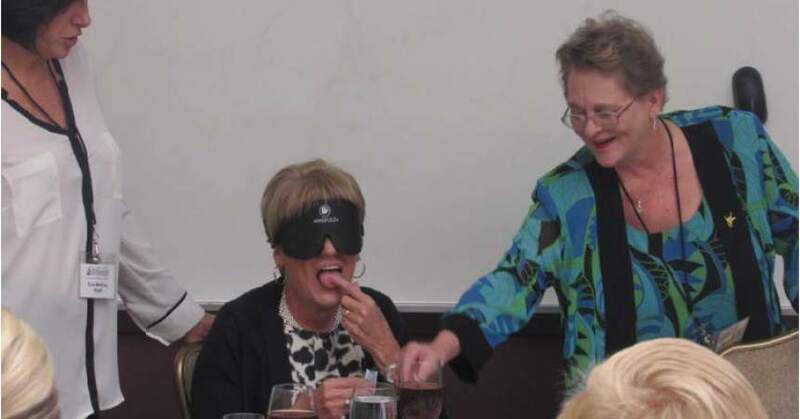 Lighthouse vision specialist guided a guest through a training course on how to find utensils and eat without vision. Guest enjoyed an open bar and music while viewing the gifts for the raffle. Enclosed in darkness, unaware of anyone standing behind you and slowly using your fingers to tread the table to find utensils was an eye-opening experience. 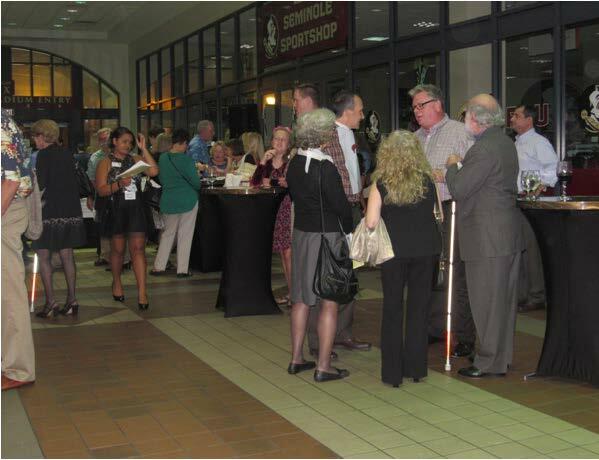 More than 300 people took part in the 11th Annual Paula Bailey Dining in the Dark event at Florida State University on Oct. 4. Lighthouse of the Big Bend hosted the event to broaden awareness of living through the eyes of the visually impaired. “Living visually impaired is entirely doable, it’s just a little different,” said Eva McElvy, Lighthouse vocational specialist. “The biggest assumption is that the visually impaired are disabled, instead of differently abled. They still live independent and fulfilling lives, said McElvy. Lighthouse staff and clients worked the event to ensure that guests learned as much as possible. Guests participated in a brief training course that gave instructions on how to walk, sit and eat in the dark. After leaving the course, guests were instructed to an elevator that opened to the sight of nothing but complete darkness. Grabbing on to each other’s shoulders, guests were slowly guided by assistants through a dark dining room in which the real experience began. Next guests had to take their seats, by using the back of their hands to feel the perimeter of the chair and waving their hands in front to make sure the chair was vacant. Once seated, a technique called treading was initiated to find utensils, eat and drink. They had to slowly tap their fingertips across the table to find their fork and then guide them back to their plates to eat. 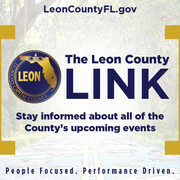 The Leon County Sherriff’s Office SWAT TEAM, who catered to the guests by using night vision goggles, served the meals. Guests reacted most to being visually unaware of what they were eating, having to utilize smell and taste to enjoy the food. “This is normal to us,” said Tinetta Cooper, Lighthouse staff and former client. Cooper became legally blind in 2006 and expressed that adjusting is different, not hard. After about an hour of sitting in total darkness, the lights were slowly turned on. The room lit up with smiles and shock as guests began to interact about their experience. Before the event could come to a close, the Paula Baily Inspirational Community Member Award was given to 10-year-old Paloma Rambana. Rambana was born with Peter’s Anomaly, which clouds the cornea. With the state not funding kids between the ages of 6-13 who are visually impaired, her efforts to change that is what lead to her receiving the award. She led a march to the capitol to bring attention to the issue and resulted in legislatures giving one million dollars to fund the gap. “The problem with the state not funding the gap is that it builds for more physical problems to arise for these kids and eventually more money to assist them once turning 14,” said Elizabeth Ricci, Rambana’s mother. Many smiles and tears later, the family and Jennifer Crowder, Rambana’s vision teacher, joined her to celebrate her accomplishment; with Crowder receiving an unexpected certificate for all of her work done with the family. “Paloma wouldn’t be where she is today without Ms. Crowder. When the funds left, she stayed and she will forever be a part of our lives and this family for everything she has done,” said Ricci through soft tears.